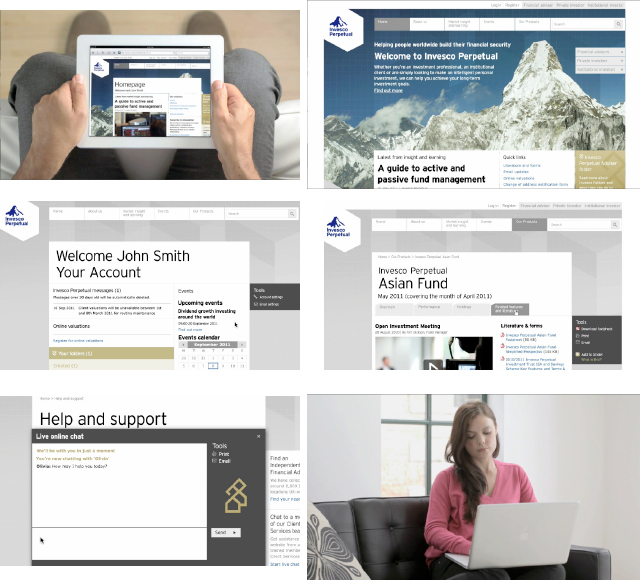 Client Invesco Perpetual launched their redesigned website in August 2012. They were keen to communicate clearly and effectively to clients about the new site’s new features. To guide users, eight films were made to offer online guidance. I wrote the eight scripts that were conceived and produced by Browns.